We take pride in what we have to offer and feel our site is situated in an ideal place for those wishing to explore the Yorkshire Dales and the many interesting towns and villages that are full of character and history. 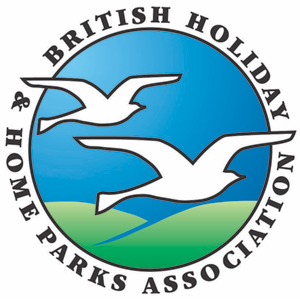 As a well established park we have to offer both Holiday homes, for those wishing to get away during the more pleasant months and Residential Park homes, for a different way of living in a close knit community, yet still having all the facilities and comforts that you would expect and need. Whichever you are interested in we can guarantee a home to home experience within a peaceful and tranquil environment. Park homes are now developed to meet the standard of a conventional home with the advantages of low maintenance and heating costs, situated in a friendly community, close to shops and services. Each new home we developed is designed with the plot and location in mind. All plots come fully serviced and landscaped with easy maintenance gardens and paved patios. Holiday homes are no longer just a base for a holiday, they offer you a home from home experience. The only difference is that the setting provides you with a real taste of nature. Set alongside the riverside, in a beautiful area surrounded by woodland really gives you the feel of peace and relaxation. All our Homes are privately owned and we do not hire, nor allow sub-letting. By doing this we ensure that the parks peaceful and friendly atmosphere is always present. Since 1961, our friendly family run caravan park has provided luxury homes for many, with a great variety of activities and services all around. 1 mile west from Richmond town centre on A6108.